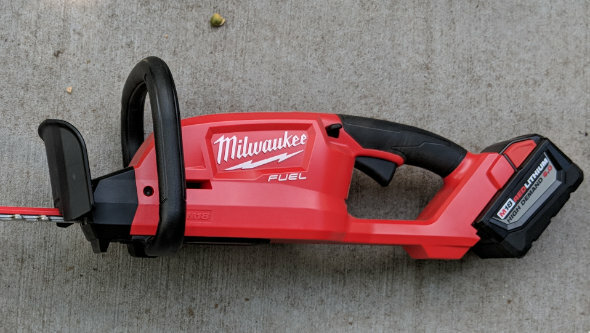 I received a Milwaukee M18 Fuel Hedge Trimmer test sample, but I haven’t had a good opportunity to test it yet, as I have a total of 6 bushes in my yard and we normally trim them by hand. 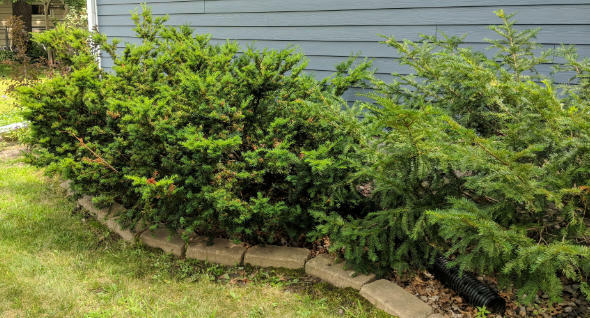 For some reason we didn’t trim the five yew bushes around our house last year — I think time just got away from us. So they had become quite overgrown. When my wife told me she was going to trim the yews last weekend, I figured that might be the last real chance I get to try this tool in a while. Before I go to town on my bushes, here’s some of the relevant details about the tool. 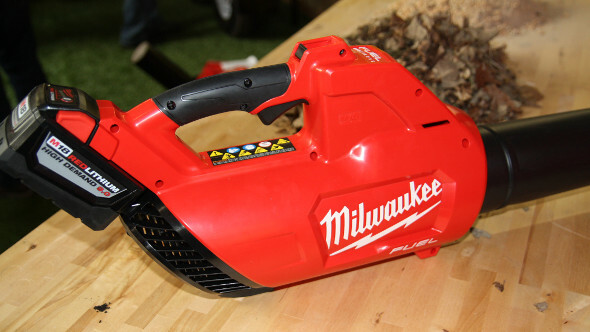 Milwaukee claims the Hedge Trimmer can get up to 2 hours of run time, presumably with the M18 9.0Ah battery. They say they built this tool to last for landscape professionals, giving it a slider crank mechanism and an all-metal gear case. One of the features I find handy on all the Milwaukee outdoor power equipment is the keyhole slot on the back, allowing them to store easily. Another nice feature of the Hedge Trimmer is the large front handle that you can easily grip on the top or either side while you are wearing gloves. The M18 Fuel Hedge Trimmer comes either as a bare tool or as a kit with rapid charger and 9.0Ah battery. The bare tool runs about $170, while the kit runs $300. The best deal on the kit right now seems to be Home Depot where you can get the trimmer, 9.0Ah battery, rapid charger plus another free 9.0Ah battery thrown in for $300. 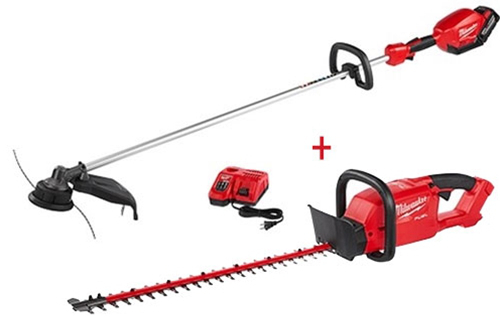 Ohio Power tool has a deal right now where you can get the M18 Fuel String Trimmer kit (string trimmer, rapid charger and 9.0Ah battery) plus the bare tool Hedge Trimmer for $300. In the video, I’m cutting back the bushes so they are behind the border stones. In some cases I’m cutting branches that are right around the cut capacity of 3/4″. In fact you see the trimmer jam at one point. I backed off, approached it from a different angle, and the trimmer eventually cut through. It probably would have been more productive to put the trimmer down and grab a pair of loppers. 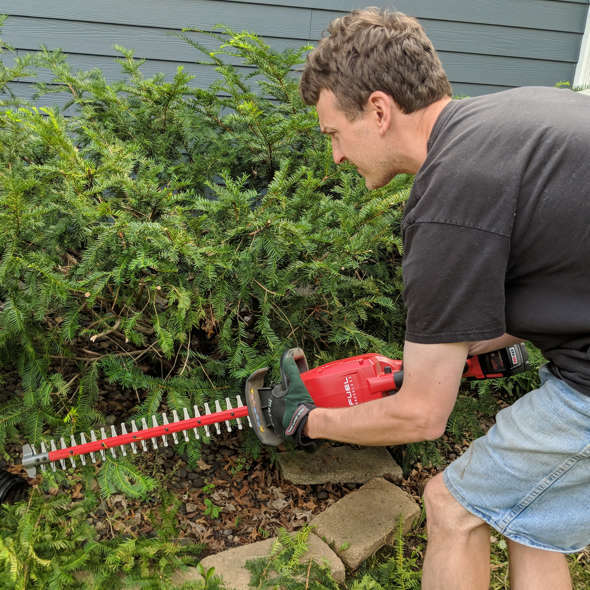 I’m not going to bore you with a ton of pictures of my scraggly bushes, but I thought I’d just show what you could do in a matter of a few minutes with the M18 Fuel Hedge Trimmer. Above are two untrimmed yew bushes. Here are the same bushes after a few minutes of trimming. You can see they are separate bushes and not wildly encroaching into my grass. And while it’s not ideal that they are quite bare underneath because I cut them back so much, I’m not too worried, these things come back with a vengeance when they are pruned. Again ideally we control these by hand, using hand cutters a few times a year to shape them and take branches out from the interior so the bush can get light inside. This makes for a much healthier bush. I did test the Hedge Trimmer with the new 12.0Ah battery. I did not notice any difference in performance — it probably was not designed with the new batteries in mind. I wish I would have thrown in a 5.0Ah pack while I was working, but I forgot. I suspect it wouldn’t really degrade the performance. A hedge trimmer is not really a tool I’ve used much and I did not own one until Milwaukee sent me this sample, and so I cannot say whether it’s better than any other brand. But the M18 Fuel Hedge trimmer got the job done fast without struggling. The only time I stalled it was when I was doing something I shouldn’t have been — cutting something larger than the 3/4″ capacity. We could have done the job by hand but it would have taken us 3x as long. I can definitely see the use in a tool like this if you had a large number of bushes or a large hedge to prune. Note: Yes, everyone should wear safety glasses when doing this kind of work. Thank you to Milwaukee for the test sample. Benjamen, put on some safety glasses please. I like your reviews, and I want you to be able to keep reviewing stuff. The only time that safety glasses are really necessary, is when you don’t want to get something lodged in your eye. My wife is a trained and avid gardener. I bought her a suite ( 2726-20 Hedge Trimmer, 2728-20 leaf blower, and 2725-20 string trimmer) of Milwaukee cordless tools for last Christmas. I think the Leaf blower had been superseded by a new model soon after I bought it. Anyway – she likes them all – even though I was chided that powered hedge trimmers are not a good tool to use if you want to maintain healthy bushes. Her take on this is that you and the shrubbery are better off with hand trimming that is more selective – and allows you to open the plant up to receive better sunlight. To that point she uses both Felco and ARS hand pruners – plus a short Gardena (8824-U) cordless trimmer. 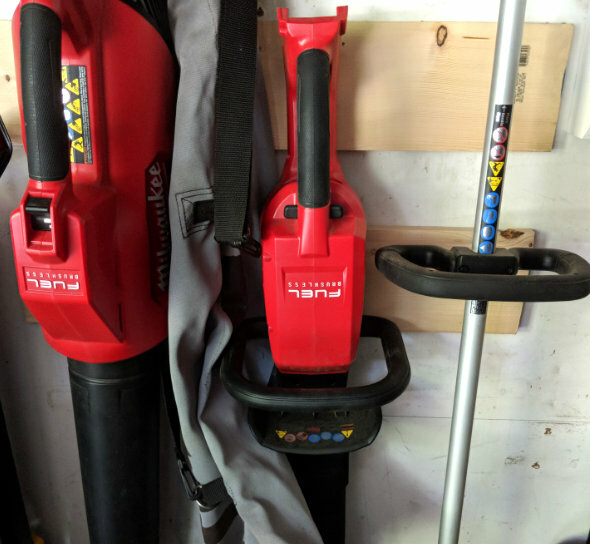 When I had been tasked with these chores – I had used gasoline-engine powered tools that are still hanging in the garage at our main home – but she always found them hard to start and too cumbersome to use. My take now is to let the contract gardeners do the heavy work – allowing my wife to putter around the gardens – the cordless stuff being perfect for her needs. At our winter place the HOA takes care of all of this – and local guys do the “trimming” at our weekend spot – which sometimes (they get better when I complain – or know that we are coming) looks like they were using a machete to cut the bushes and sheep to mow the lawns. We have the entire Milwaukee OPE set including the new chainsaw. My wife jokes that we should be in a Milwaukee commercial. Batteries and lack of dealing with gas engines makes it easy for her to use everything herself while I “busy” myself with some easier job inside the air conditioned house. The only one I have had a problem with was the original blower. It blew a puff of magic smoke one day while blowing some light snow off the deck. I made my local HD swap it out for the newer model after raising a bit of stink. New one is noticeably more powerful but much much much louder. Same thing happened to me while blowing light snow off my porch. Must have gotten moisture in the electronics, caused a short circuit of some type. The 9.0 battery I was using blinked and shut down for a few minutes, but luckily survived. Overload protection in he battery worked as intended. It sounds like its not good if it gets wet. I’ll remember this about snow – and pass it on to my son who house sits for us during the winter – should he be tempted to use it to blow snow. I’ll also tell my wife that the backpack blower needs to come out for blowing leaves around the pond – lest some water droplets have the same result. “machete to cut the bushes and sheep to mow the lawns” love it! Exactly, if you like your bushes, run from hedge trimmers (any brand, any power type). The only thing I would use them for is to chop off ornamental grasses at the ground in the spring. Otherwise, you create a thick outer surface on bushes with no growth at the interior effectively creating a shell of green. I recently got the combo from a guy on craigslist hard to tell if he was a landscaping guy that got it in for review and said meh and sold them who knows. Right out the box everything was clearly new the string trimmer is amazing, i am looking at the speed string attachment now. The hedge trimmer on the other hand cleaning up crap on a fence line blades misaligned on me with in a few minutes, didn’t hit anything crazy or hard but the tool started making a odd nose shut it off looked over the blade it was knocking in a spot nothing bad yet i just have to figure out what is wrong with the alignment I figure going to do a blade change sequence see if i see anything wrong or take it in to the local repair why it is still covered ha. I’d be happy to assist in a side by side comparison with the Echo Cordless model. I just bought one the other day which complements my other bits. While I might sound a bit biases when I post here I’d love to see some larger comparison tests on cordless OPE devices. I notice quite often some companies are left off the list when you do see tests. anyway I found years ago the need for a hedge trimmer product although clean up after is a bit of an issue. But I have a good bit to keep tidy and I have 2 houses to do this with. TO that end I love the newer crop of cordless ones fixes a number of issues the corded and the gas products have. Good notes on the product any rough idea on noise level? Quiet enough that I don’t wear hearing protection. It’s marked as 86dba on high. Adding to this, 85dba is the limit where hearing protection is recommended, but you rarely need to run it on high. Low is stated as 84dba at waist level. I was speaking about just the hedge trimmer device – it is quiet enough I don’t feel the dire need for ear protection. The string trimmer – just because of the frequency of the string whip – I do use it. Same when I run it with the edger attachment as that blade runs against concrete. Now using the hedge trimmer attachment on the trimmer motor is almost as quite as the stand alone hedge trimmer. but not quite. I think it’s a touch more powerful or if nothing else faster cycling. It didn’t even cross my mind to measure the noise level. It didn’t seem very loud. I just tested it unloaded and got 91dB, about as loud as a hairdryer. That surprises me. So that means between 6-8 hours per day of exposure on the OSHA charts — 2 hours for NIOSH. Okay I was measuring it wrong…don’t know why I was measuring it at the machine. 82dB arms length (a little over 2 ft away). You know, I’ve always felt that dba measurements don’t really convey the full story. They certainly don’t tell you how irritating or painful the noise is. That probably has to do with the frequencies, and also whether it is pulsating/steady/intermittent, etc. It also might not really tell you when your hearing is being damaged, which I believe is also frequency-dependent. I guess that means that if dba ratings are all you have, you should err on the side of caution. Well there’s also dbA vs dbC vs dbE (if i recall correctly) and I say if all you do is report the db without a depiction of where it’s measured you’re only getting half the story. as far as the type of noise the pulsating and the like well I don’t know how much of that physically hurts your ears vs is just annoying. but frequency is a big deal hence the dbA weight vs C weight. As those are related to frequency scaling. I prefer dbC but not many devices actually measure that. I really like the hedge trimmer, I have the big three from Milwaukee, the hedge & string trimmers and the Gen II blower. The hedge trimmer was really great at power use, I spent over an hour trimming azalea’s around my house and only dropped 1 bar on my 9.0Ah battery! The hedge trimmer is heavier when compared to the corded version I was using, but is more powerful and very sharp and has a longer trim bar. I wish I could “lock it on” as well but it isn’t a deal breaker. Very happy with this model. I am a bit surprised it is as loud as mentioned, would not have thought so. It’s probably a safety concern that’s why there isn’t a lock on feature. I picked this hedger trimmer up along with the gen 2 blower earlier in the summer. Prior to this I had used gas powered and corded trimmers for the many bushes at our home and office property. While I’m in agreement that properly pruning bushes to allow for more airflow and light is key, these are fantastic for keeping shrubs shaped throughout the year. 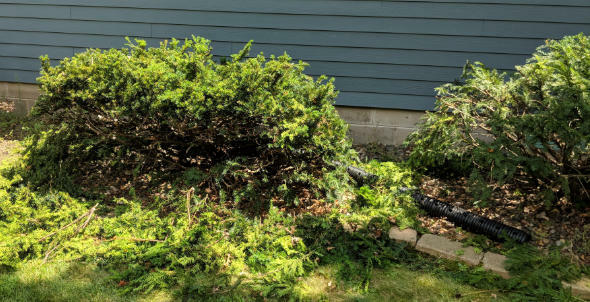 I like to leave the major pruning for late fall or late winter when there are no leaves and you can truly see the shrub’s shape. But a hedge trimmer is awesome for taming spring growth and a touch-up once or twice during the summer. Prior to the Milwaukee I had the Echo 58v hedger trimmer and blower. I ditched that system this year after several issues with their batteries failing. The Milwaukee hedge trimmer is so much more balanced and it reaches full speed in a quarter of the time. For some reason the Echo had a long ramp up on initial start. I think it’s nominally lighter than the Echo, but the balance makes it feel much lighter and more maneuverable. Cordless is a game changer for hedge trimmers, at least for my needs. In the past I dreaded dealing with the cord or dealing with the vibration and arm fatigue from gas models. Of course I have a lot of shrubs and bushes to maintain, someone with a smaller yard might not mind the shortcomings of older devices. Corded tools might have been OK for foundation plantings and other trimming close to the house – but when gardens are further back on the property – extensions cords are not possible unless you have run an electric service out to provide remote outlets to plug in to. Cordless OPE and LV or solar-battery powered lighting have indeed become a game changer – in both maintaining and making the more remote parts of a property more useable without breaking the bank. I prepare houses in the twin cities for sale. As part of my vast job description requirements I find myself needing to quickly perk up properties and in a pinch I opted to try the hedge trimmer (mostly for the battery that was supplied with it). This tool surprised me. It took two days of constant use before needing charging, carved through most of what I threw at it and was nice and light on the ole shoulders. I have a Stihl HS 82T gas powered trimmer and its beast. 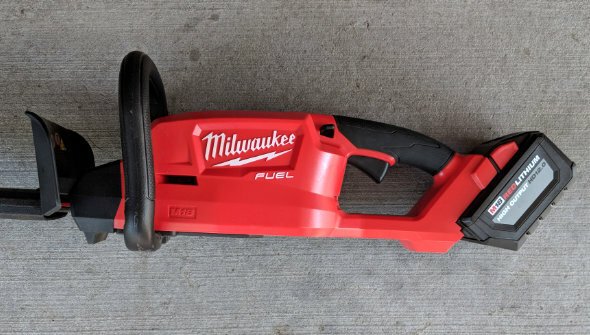 Goes through almost anything and by way of comparison I would say the battery operated Milwaukee was able to take on 70% of the duties of its gas powered contemporaries. My buddy has the Dwalt trimmer and it was just as good, but did not stack up when compared too the supplied battery. Dwalt provides a standard 20 Volt (which is fine for most weekend warriors). I have not sharpened mine yet, so I am not sure how that will go, but I have also not needed to sharpen it. So whatever that’s worth. As I said – my wife uses the Milwaukee with a 9Ah battery – likes it a lot. If the Stihl that hangs in the garage is needed – then that’s my job – and a tiring one at that. Same goes for the gasoline-engine Echo blower and string trimmer. setting up 1/2 inch dowles (for uniformity) in a vise of some flavor – and say 6 of them spaced about 2 inches apart so as to make up a 14-15 inch cut swath. The Echo I have is 22 inch capable and I believe the milwaukee and dewalts are both 20 inch so plenty of capacity. and just see how they chug though. Yes I know it would be tougher perhaps than some bushes so maybe some 3/8th dowels and some 1/2. pass through the field at least twice in both directions. Then after that test – run another with 2 dowles and whatever if their “max cut” capacity. be it 5/8 or 13/16ths whatever. I’ve not looked up their marketing numbers. A row of 1/2 kiln-dried hardwood dowels – might be the death of them. Cutting green wood and the occasional dead twig is a lot easier. At our getaway place – the “gardeners” use a front sickle bar mower for trimming margins into the rough. This is sort of a hedge trimmer on steroids. I suspect it could handle your test and more. can’t you get soft pine dowels? I see some at the local store that are not at all like quality wood working dowels. More yellow in color, good bit more flex. I mean I know it’s not the same because it won’t have as much sap and it won’t bend as much as green wood or be as tough as bark. I agree I wouldn’t want kiln dried hardwood dowels. That is an idea – maybe #2 pencils would also do – they are general not very hard wood. Wonder if the dowels you’ve seen at the store are poplar. That’s technically still a hardwood, but lighter, softer, and cheaper than most other hardwoods. It often has a yellow/green look to it. 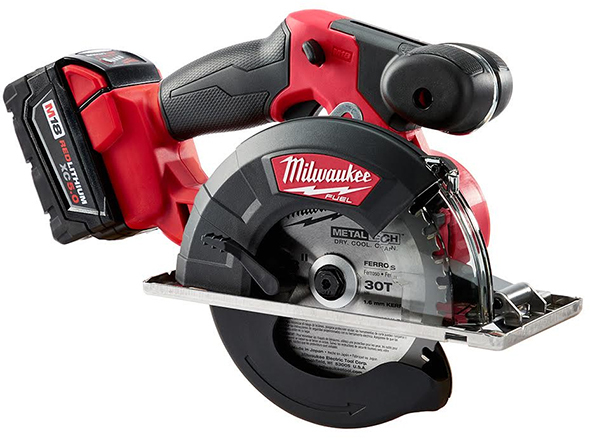 The Milwaukee has a 24″ bar, and lists the max cut as 3/4″. NPS16 Milwaukee basically had the demonstration that you talk about. after some reading since I decided I needed to look up the customer support for the echo products. Noted on my hedge trimmer that the data plate shows OWT Industries, etc etc North Carolina. as the maker of the device for ECHO. I knew they were made in china since all the cordless OPE stuffs apparently is made in china. BUT – turns out OWT industries is currently TTI. ALso I see they updated their string trimmer and not the motor is on the trimmer head like all the other makers negating the use of trimmer attachments. I like my older model but I agree it’s a touch heavy on the back side. Not much worse however than the high output models with full tanks of gas. Just an aside. The 9 and 12 amp hour batters from Milwaukee I encourage you to give a try with these tools. Was an eye opening difference in performance. The EGO line is great. I’ve not tried the entire line, but I did use the trimmer and blower and was impressed. I have the Ryobi P2606 18V 22″ hedge trimmer, rated at 3/4″ max, and it’s been a time saver. Besides using it to trim my small hedge, I’ve used it to trim the new, outer branches of our ornamental plum tree that grows like a weed (I’m trying to get it to grow up, not out, and thus provide more shade for the house), and chop up small branches. I don’t doubt there are better models out there (e.g. 40V and up models), but the Ryobi has been a good match for my small yard and my battery system at a good price. Picked one up primarily to trim ornamental grass before the season. Makes quick work of that. Then went after the overgrown fence line. It’ll go through Red Brand fencing with just a little noise. It cut everything that would fit between the teeth. OH another thing for you guys shoping for a device. Notice how the top pick the milwaukee has this wide stationary tooth at the end of the bar. When you have it in your hand you’ll notice it’s a nose cap or protector rather. The Echo machine has this also – as will most of the pro line gas powered devices. Point is – that in itself is a very nice feature to have if you happen to do a good bit of trimming around or near the ground. I have short scrub bushes (I don’t know the type) in between stuff and it want to spread out so I have to keep it cut back a good bit. Using other hedge trimmers in the past doing it would cause me to get dirt into the bar mechanism or I’d occasionally dig the tip into the mulch etc. (reaching over another bush to trim around one is a pain). Using a machine with that protector tip you can let that sit right on the ground without issue. Very handy and something I would consider to be a differentiator between devices if one didn’t have it.